The #Nightofkqueens is here for the 1st time @ Q-Lounge MG Grande (former Palm palace, ung/Boro Sabon Tasha kaduna) on 8th March, 2017 world international women's day. 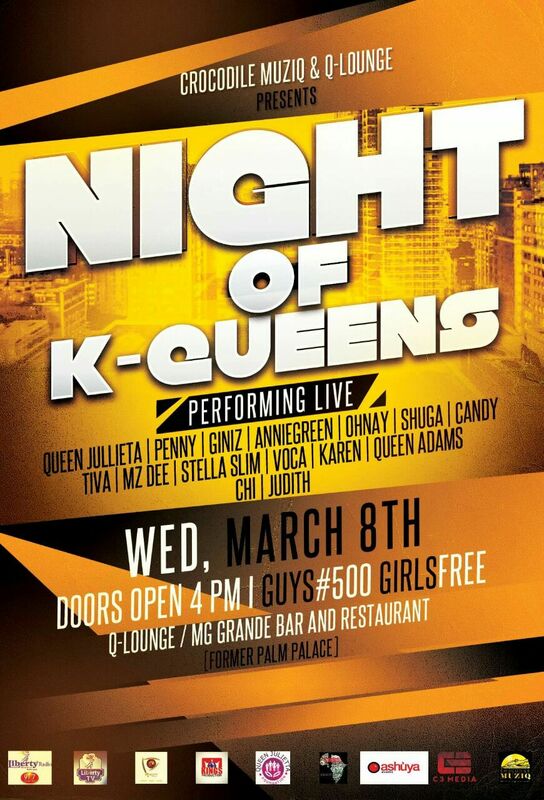 This wonderfully ladies night is the ideal excuse for you to gather your girlfriends for a glamorous night away. 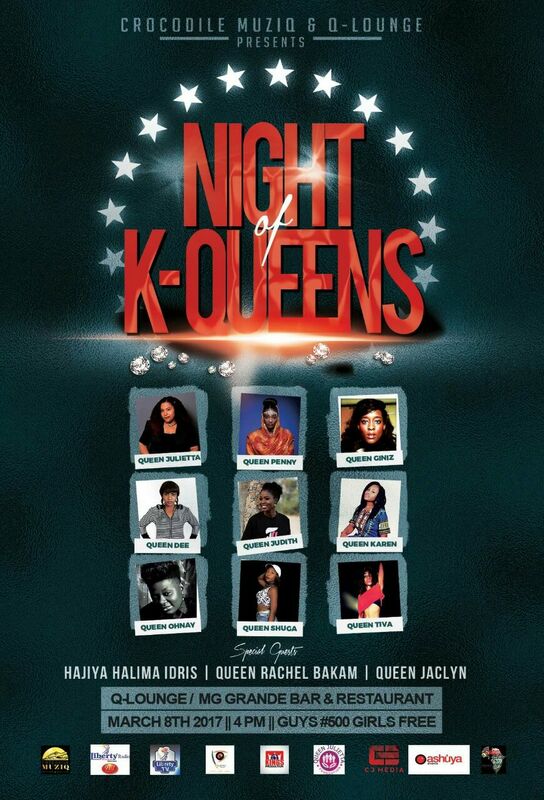 The Night of K-Queens is for all the women that have been through it all: ‘the hustlers’ ‘the baby mama's ‘the independent women’ ‘the wives’ ‘the C.E.O’ ‘the super women that own their thrones’ It’s all about #networking #motivationaltalks #storytelling #cheeringmusic #stageperformance #amazingdesigns that will showcase the talent of women in the entertainment and fashion industry. There Is also the added bonus of a surprise performer. Are you interested to know who it is? Then you'll just have to buy a ticket and wait in its anticipation for one of Arewa's finest female performing artiste to knock your socks off. #nightofkqueens #kqueen #Beboldforchange #internationalwomensday #Iwd2017 #crocodilemuziq #concert #Qlounge #Afterparty #08march2017 #savethedate.